In a first for any age group, more than half of Americans age 25-29 live in households with cell phones but no traditional landline telephones. A report on phone use by the federal Centers for Disease Control and Prevention also found that the younger children are, the likelier they are to live in homes that only have wireless phones. That suggests that younger parents are showing increasing comfort relying only on cell phones even as they adjust from being single to a more settled family lifestyle, according to one of the report's authors. Taken together, the figures released Tuesday provide the latest evidence of how young people are leading the nation's evolution away from landline phones. "You could say that among that age group, wireless only is the new norm," said Stephen Blumberg, a senior scientist at CDC and an author of the survey. The shift toward cell phones and away from landlines is having a wide impact, changing not only how people communicate but the telecommunications industry and the work of pollsters and others who collect data. The survey showed that overall, 27 percent of U.S. households had only cell phones in the first half of this year, up 2 percentage points since the last half of 2009. That number has been growing rapidly - in the first six months of 2007, just 14 percent of households relied only on wireless service, roughly half of current levels. Among 25- to 29-year-olds, 51 percent lived in homes with only cell phone service in the first half of 2010. That was up 2 percentage points from the previous six-month period. For both age groups bracketing them - 18- to 24-year olds, and 30- to 34-year-olds - 4 in 10 lived in cell-only households. After age 35, the likelihood that people live in homes with only wireless service falls off, with only 1 in 20 people age 65 and up living in homes that rely solely on cell phones. The study also found that among children under age 3, nearly 4 in 10 live in wireless-only households. That figure drops to about a third of children age 3 to 5, and less among older children. Blumberg said this is significant because it counters the perception - backed by previous data - that cell phone-only households are likelier to be comprised of young, unattached people. The latest numbers suggest that as young people used to living only with cell phones have families, they're keeping their wireless-only habits. "It's a sign that wireless-only is no longer strictly tied to a lifestyle of being young and restless," Blumberg said. In addition to cell-only households, the survey found another 16 percent of households have landlines, yet get all or nearly all their calls on their cell phones. Their landlines are usually hooked into computers. Combined with wireless-only homes, this means that to call 43 percent of American households, the only practical way to do it is to dial their cell phones. •	The households likeliest to rely only on wireless phones consist of adults who are poor, renters, Hispanics or who live with unrelated housemates. •	Only 13 percent of households have landlines and no cell phones - down from 24 percent in early 2007. 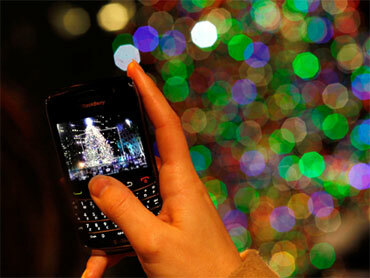 •	Though people age 18-29 are the heaviest cell phone users, they comprise only 40 percent of all wireless-only adults. That's because young adults make up only about one-fifth of the total adult population. •	Only 16 percent of Northeasterners live in cell phone-only homes, the lowest of any region. The highest frequency of wireless-only households is in the South, where 29 percent live that way. •	About 2 percent of households have no phone service at all, a figure that has changed little in recent years. The data for the study was compiled in the National Health Interview Survey, conducted by CDC's National Center for Health Statistics. It is based on interviews with members of 17,619 households conducted from January through June this year.